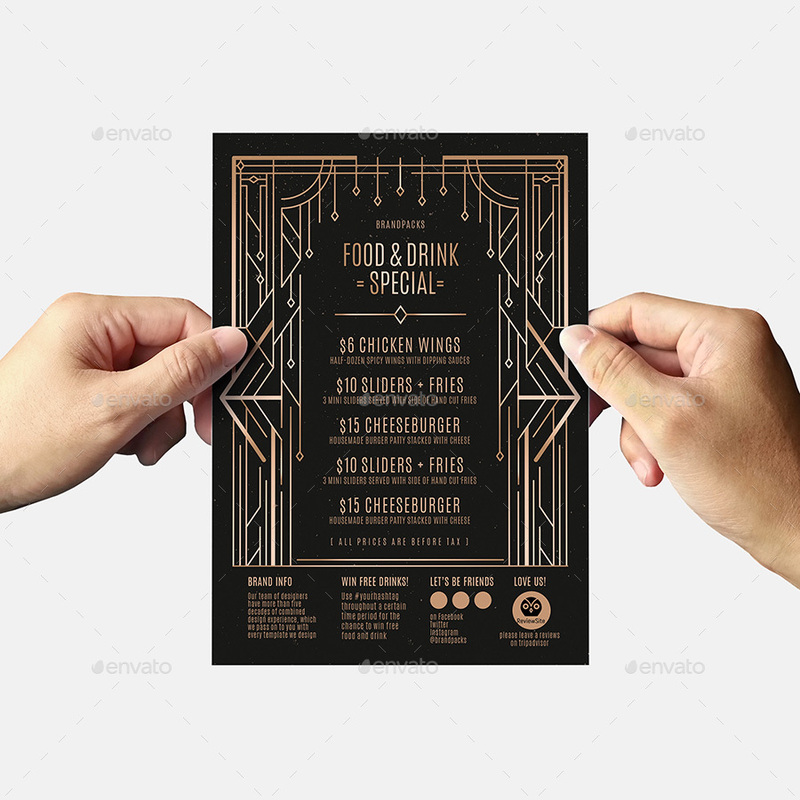 A 5×7” flyer and DL sized rack card template with vintage black and gold Art Deco design style, ideal for 1920s / Art Deco / Great Gatsby / retro themed parties & promotion. 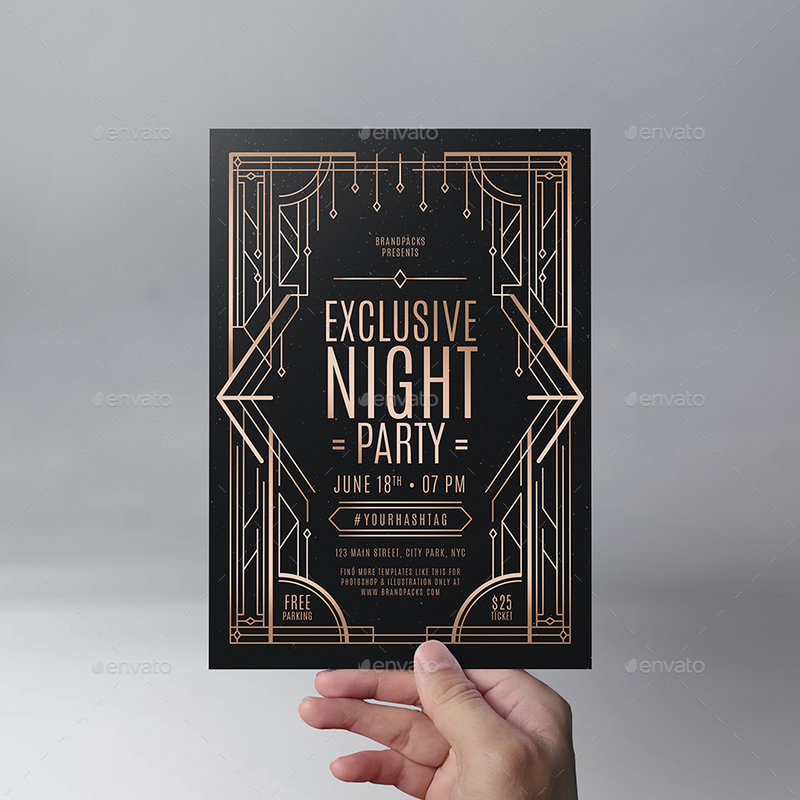 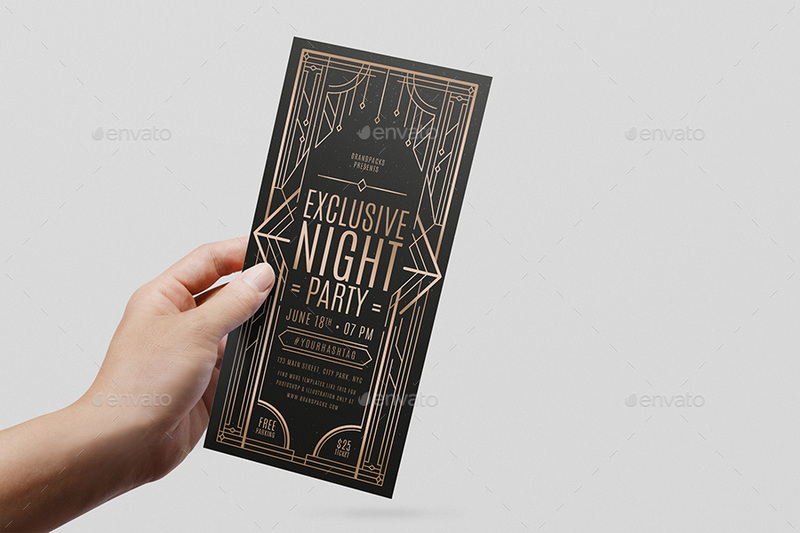 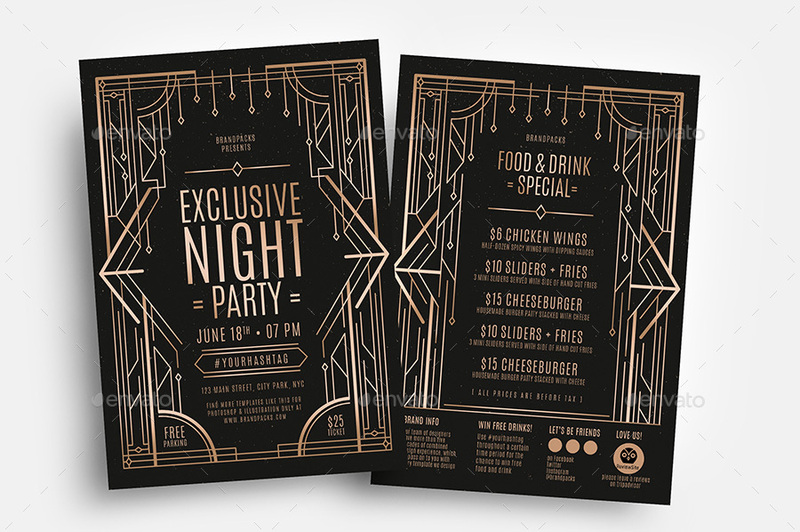 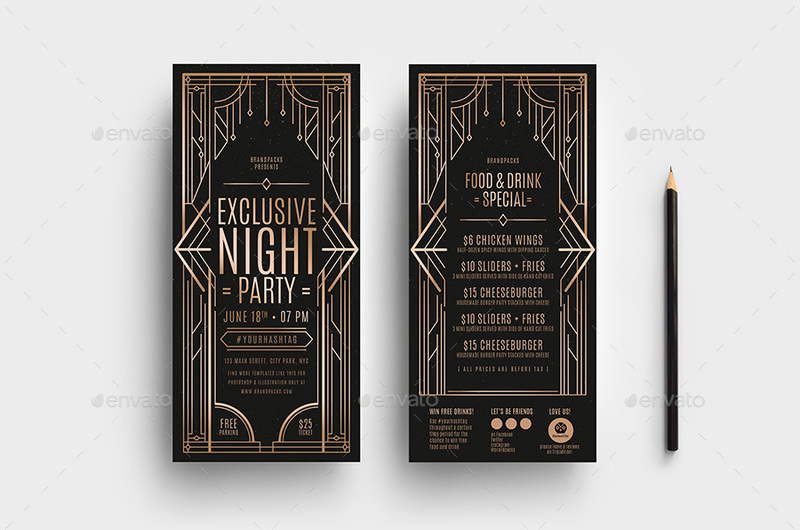 This art deco flyer template is ideal for high-end hotels, upscale cocktail bars & fine dining restaurants. 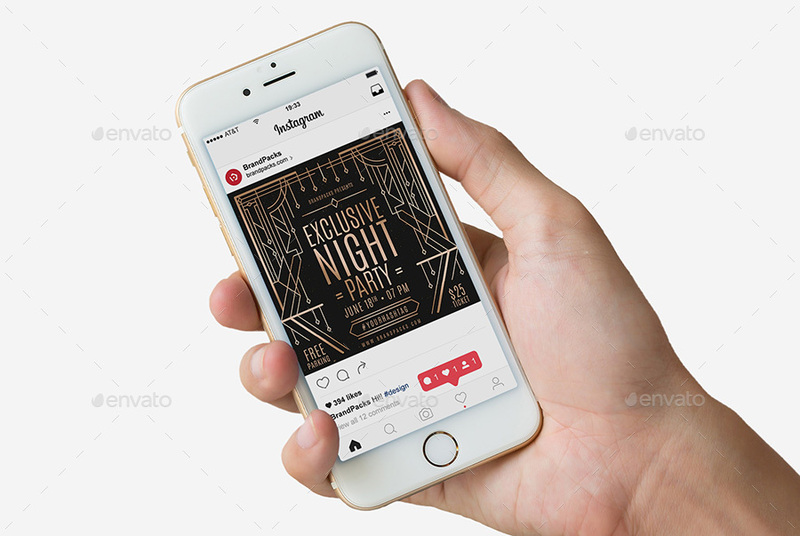 Each template comes in both Photoshop PSD and Illustrator Vector Ai formats. 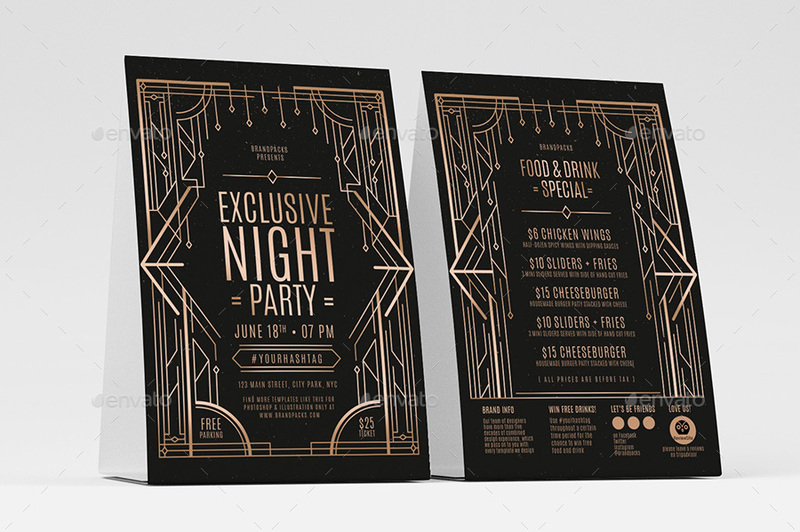 All layers & folders are well-organised and clearly labelled for fast and efficient editing. 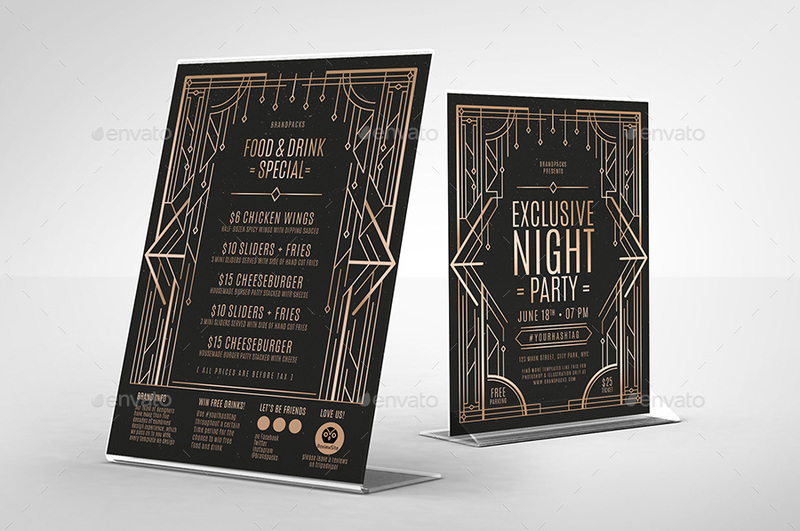 This template is ideal for promoting events, or as a table tent to promote drinks specials.